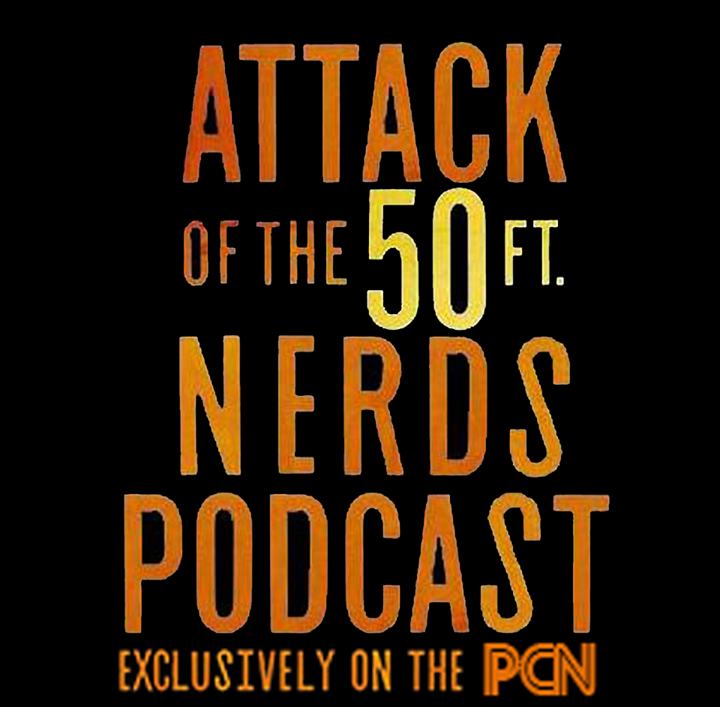 Attack of the 50ft Nerds Podcast | "We're not horses…"
On this site you can find our entire episode archive, filled with Attack’s, Beyond’s, Commentary tracks and more. You can keep up to date with all of our latest happenings on Twitter, Facebook, and Instagram. Also, if you like what we have to offer, then why not throw a few pennies our way by becoming a Patron over at our Patreon page. If you’re a more visually oriented kind of person, then check out our YouTube page, regularly updated with fresh content. We hope you enjoy the entertainment we provide, and if you do, throw a little love our way via social media, or by e-mail. Take care, and look out for Yeti’s.